The Mineblock is a tiny work of art housing a Rasberry Pi computer designed to run a private Minecraft server. "I didn't want it to look like a computer," he says. 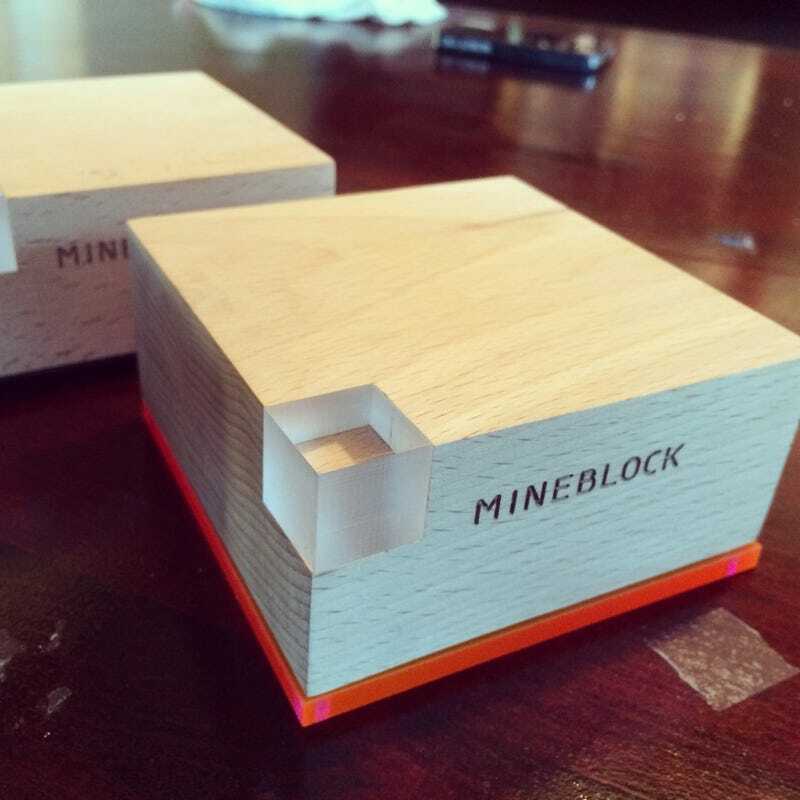 You simply plug it in and Mineblock creates its own wi-fi network. Parents simple connect to it and add it as a server for up to eight different players to enjoy. There's no concern about griefers invading the party or that tech-illiterate parents would struggle to get it up and running. Armen says that Mineblock is plug-and-play. It will even have a battery pack so parents can take their servers in the car or to the park. Haig's plan is eventually put the project on Kickstarter.